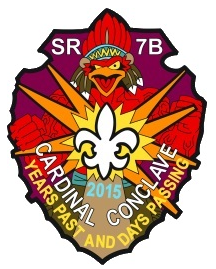 As for the memorabilia the conclave patch design as shown here is the design. 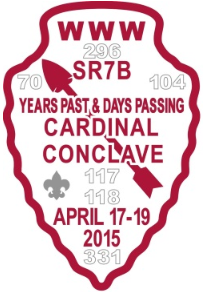 Some years the conclave folks have kept the final design a little bit of a secret. I'm not sure if that is the plan or not and perhaps somebody an comment and let us know. As in the recent past the section is producing a stand alone patch that we've taken to calling the Mighty Cardinal patch. Chances are at the trading post they will sell a matching set of flaps of this design. As for what's else on the preorder here is a quick run down with prices.